Okay, so as we’ve seen, I have a certain fascination with human-computer interfaces and Artificial Intelligence and Siri and so on. Along those lines, I may have discovered a new game. At risk of feeling a tiny little bit like I’m making fun of someone (something?) who’s handicapped, by accident yesterday I put some garbage input into Siri and got a freaking hilarious result. “GIGO” is one of the first principles of computing. Garbage In, Garbage Out. 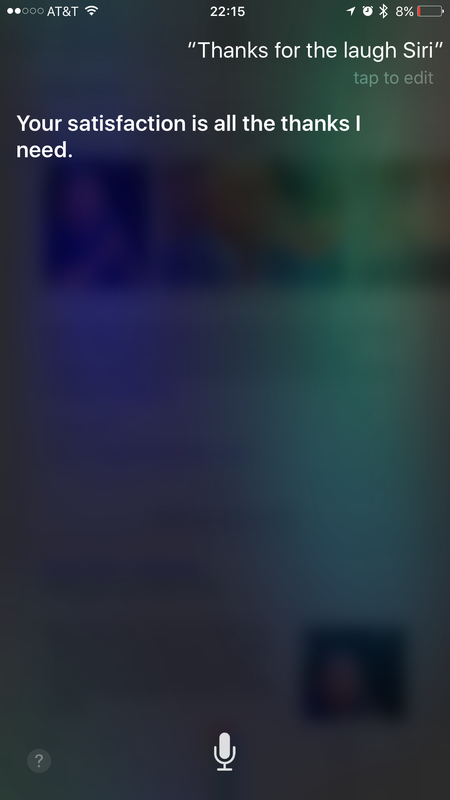 I don’t even remember at this point what the actual topic was, but I had been asking Siri a handful of questions. Part of it is that I’m trying to figure out how to better use Siri as a resource, so in essence, she’s training me. Part of it is probing to see what the limitations of the programming are. 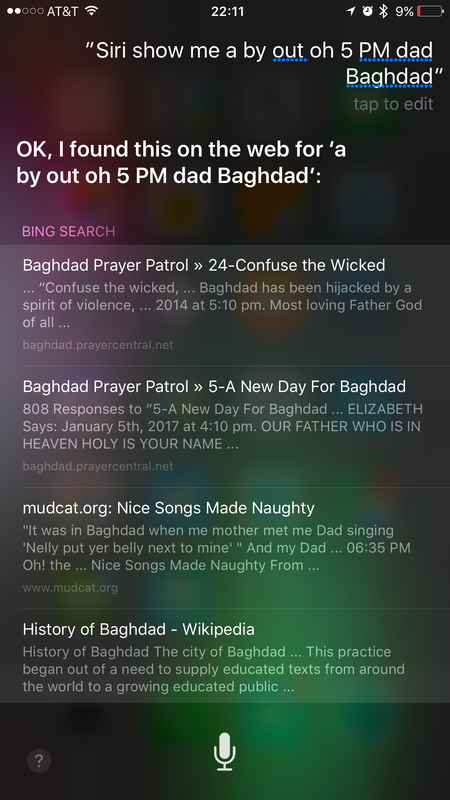 Regardless, what I wanted to say was something like, “Siri, show me a…” Whatever it was I wanted her to show me, I got tongue tied and stumbled verbally, before going off into a “Blah, blah-blah, Blah Blah!” As you see in the blooper reels where an actor blows a line. At least her programming is gracious when I thanked her. Look at those 9% and 8% battery readings. Maybe she was hypoglycemic or something.